Not long ago, if you wanted to buy furniture, home accessories or gifts in Omaha, there weren't a lot of options outside of big box stores. Meet the women who have changed all that. If your life looks like it could be on the pages of Architectural Digest, chances are you've been working with Monica Freeborn at Amethyst Home. She makes regular trips to both coasts to connect Omaha with Verellen & Cisco Brothers made-to-order furniture (her current obsession is this John Derian coin chair, and I have to say it's now also mine), statement rugs and on-trend seasonal décor. Monica offers interior design services for both homes and businesses, plus a wealth of artfully chic gifts in her store. "My grandma loved driving motorcycles, playing basketball, and could make friends with any grisly man at the bar with a friendly sports wager. She taught me that you teach people how to treat you — not the other way around. Your grand ideas and unique perspectives are your currency — it doesn’t matter what you look like or where you came from. Believe in yourself, pay attention to the details, and do what you say you are going to do." Kathleen Connor, who worked at New York design firms Anthony Baratta, Peter Marino and Katie Ridder before returning to Omaha to open Among Other Things, is a generous champion of Omaha, other small businesses -- and The Beaspora (she is the first person I ever interviewed for the blog and I love to write about her store every chance I get). Great furniture and gift ideas seem to find her -- AOT is always chock-a-block with them -- and she's also known for her beautiful, custom lampshades that light up a room all on their own. "I was just speaking to a friend who still lives in Brooklyn about how lucky I am to be from a city like Omaha, where I was able to return and open my business. There are obvious perks to opening a small business in Omaha: reasonable rent in central locations, a strong economy, and a growing population. But almost as important, is Omaha's community of small businesses. I've found the community to be genuinely supportive of each other. I've built strong relationships with so many other entrepreneurs - ranging from other home décor shop owners, fashion retail shop owners, and independent makers - who are all striving for the same goals. We're all trying to build a profession that brings us joy, independence, and financial stability. And rather than compete with each other for the limelight, I (and so many others) have found collaboration to be more successful (and fun)! Hosting classes, events, and exchanging goods with local businesses and individuals (like Julia Mason, Esther's, Legacy Art & Frame, Scratch Baking Co., Sweet Magnolias, Black Awning, Birdhouse ID, Lion's Mane, Hutch, and Spruce) draw in new customers to each other's shops and stir up enthusiasm for all of the local businesses right here in Omaha. " 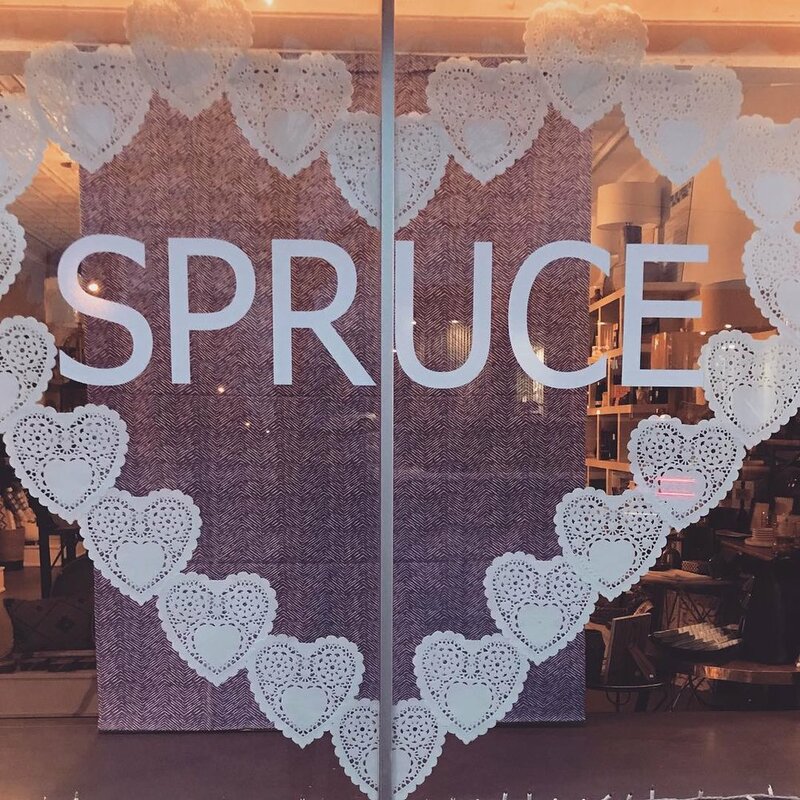 When Amy Sporrer opened Spruce in 2012, I called my sisters to say, "There's a new store... and it's so chicly merchandised!" Amy, who used to operate a similar shop in the tony suburbs of Connecticut, has a witty, preppy aesthetic: a fizzy cocktail of lightheartedness, elegance and just a little insouciance that has made Spruce (and its sister store Rosie Jane for young children) a go-to for stylish gifts. "Owning a small business definitely has its challenges but I can't imagine doing anything else. My customers have become my friends. 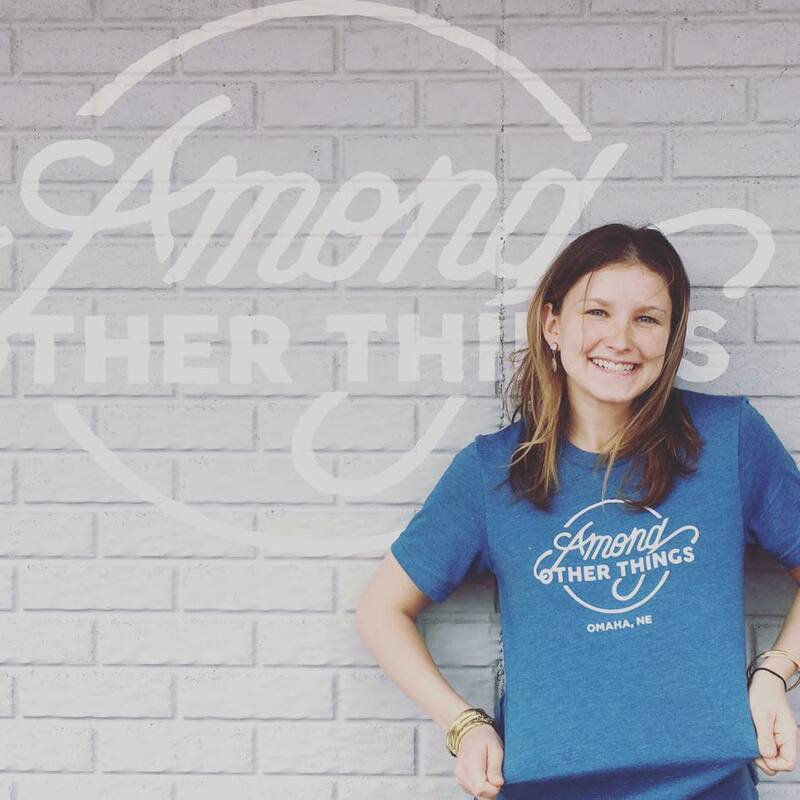 The support that the Omaha community shows small businesses is amazing. The best advice I could give any woman thinking of opening her own business...go for it! Work hard and you will never regret it!" 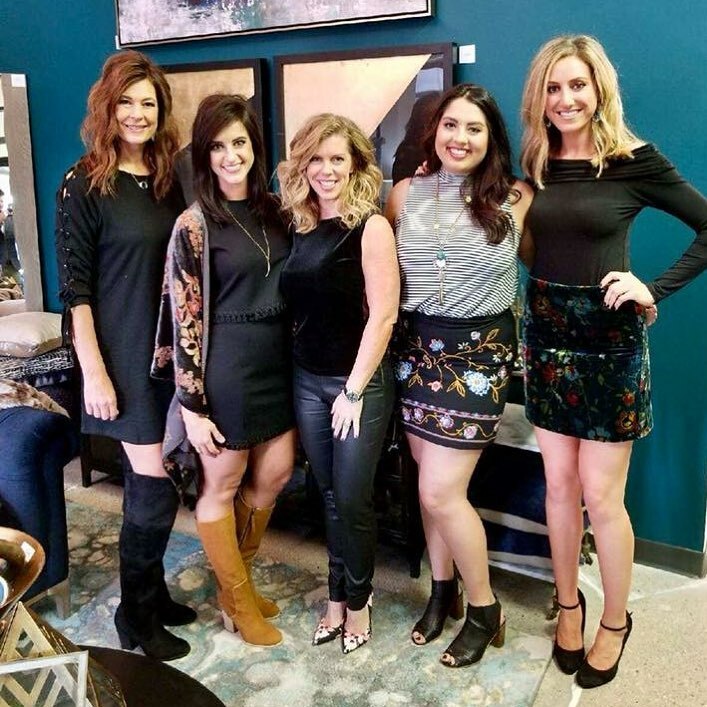 What to do when you own a thriving interior design business that's responsible for some of Omaha's most photographed interiors, a walk-in showroom/gallery where your fans can shop for furniture and home accessories, and manage a lively social calendar and travel schedule? If you're Julie Hockney, you open a floral design studio in the Blackstone District that immediately becomes the florist of record for the city's most sophisticated weddings and events. "I find that women are the ultimate multiple hat wearers. For me and in my line of work, it’s the challenge and the excitement of the multi-tasking that keeps me ticking and inspired in all aspects of my businesses." At Haus Shop, clean lines and simple, timeless design are the ultimate luxury. Owner Sarah Backhaus opened the store in fall 2017 to bring a global collection of gift, home décor and personal accessory items to Omaha, and now she also sells some of the indie designers she's scouted online at Garmentory. "My favorite thing about owning Haus Shop is being able to work with people to add pieces to their home or way of living that are unique to them. I love diving into individual style that feels genuine and special. Gathering pieces that creates an experience and brings people joy in their everyday lives. There are so many inspiring women in this community! Omaha is warm, hospitable, genuine, and it's nice to live in a city with those things as the foundation. I think as business owners -- because we interact with so many people on a daily basis -- we have the ability to create a positive environment that translates to how our city feels: an awesome, inspiring place to live, work, visit and be." With a background in fine arts, Jessica McKay has always been drawn to visual storytelling. She launched Birdhouse in 2009 and has recently expanded into a flagship space in Omaha's Flatiron Building. 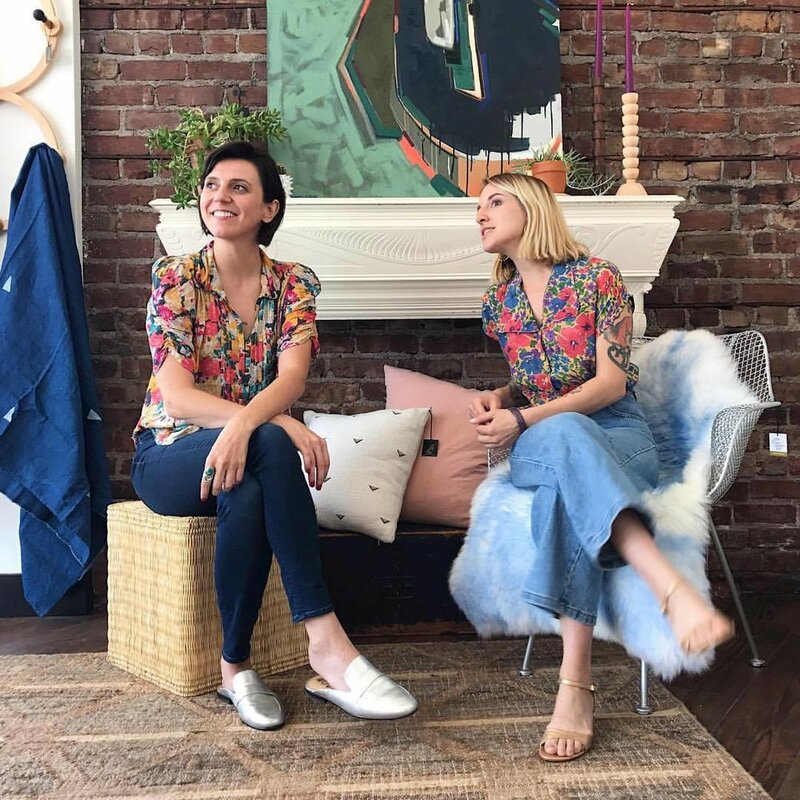 Jessica and designer/showroom manager Cora Coppock have built their reputation on their fashion-forward, arty approach and their smart solutions that update older spaces while maintaining their character and eccentricities. "I admire women who work in men dominated fields like finance or creative women who have never cared about being anyone but themselves. Sallie Krawcheck and Iris Apfel come to mind. I also read an interview once with Zoe Saldana where she was talking about how she didn't understand America's obsession with status and said something along the lines of "you're someone when you're born." I love and admire that view point. I'm not sure I've ever received specific advice about being a woman business owner. However, my mother always tells me to 'kill them with kindness, but don't take any BS!' Omaha is a more welcoming environment to small business in general which helps open doors for more women. However, there are plenty of ways that Omaha is a difficult place to be a woman business owner. We are often at tables where everyone in charge is an older man. We often get the usual condescending answers and undervaluing of our time and expertise that other women talk about. For example, we recently built out our showroom and needed to hire a commercial contractor. One contractor that we interviewed arrived late to our meeting, didn't even acknowledge me, and then began telling the other subs (electrician, plumber) about his recent fishing trip! This man was 20 minutes late to a meeting where I was going to potentially pay him a lot of money and he didn't even say an 'I'm sorry I'm late,' let alone accept that I was the business owner in charge. Cora and I consistently treat each other with respect. I realize that she has skills that I don't, and vise versa. She feels confident using her voice because she knows I'll listen. We think an open dialogue is really important to a good working environment."